Driving up a dirt road alongside the glistening Pawna Lake at sunrise, I can barely identify the place I’m searching for, until slowly and steadily, the closer I get, the inviting facade of Deogadh The Homestay makes its presence felt. 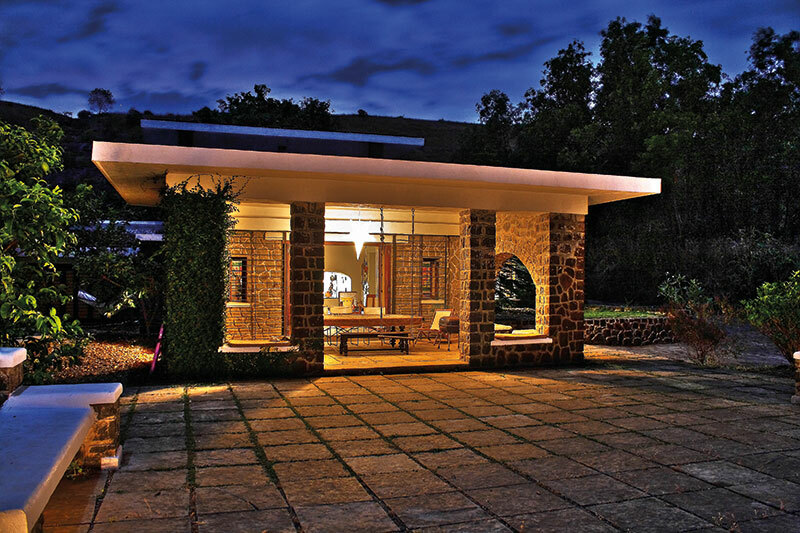 Built from local materials, the charming bungalow follows the contours of the undulating land, making it seem like it’s one with the hillocks. Owned by one of the most amiable and talented duos I’ve had the pleasure of knowing — Annabelle Ferro and Clement DeSylva — its story began in 1998. 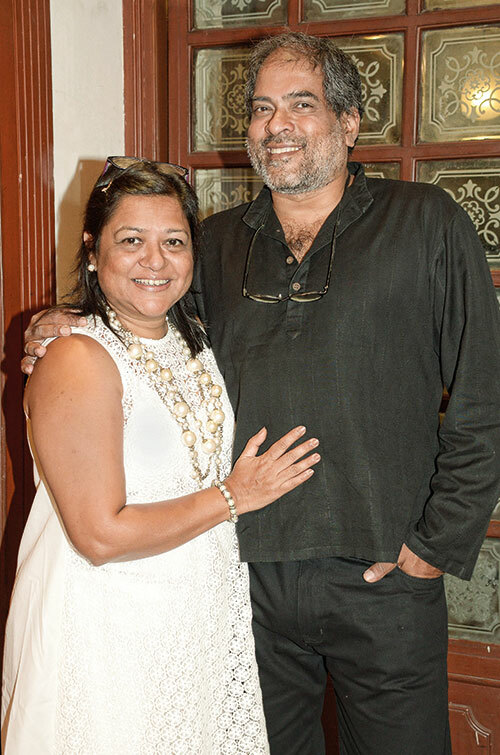 The couple had always planned on building their dream house in Goa, but Ferro fell in love with the lake on a visit to a site that her architect husband was working on. “Site visits often culminated in a dip in the lake to wash off the dust of the day and soak in the beautiful sunset. I was hooked, and Goa could wait!” she recalls. Their life during the process sounds like something out of a novel — taking shelter in a thatched hut on the site and eating simple dinners with a farmer named Natu in the nearby village of Thakursai, followed by a serene sleep under the stars. The first structure that was erected was a water harvesting tank that is still used today to water the trees that were planted during the very first year of Deogadh (which means ‘fortress of god’). There are numerous alphonso mango trees on the property, with a smattering of lychee, chikoo, custard apple, cashew, lemon, papaya, love apple, gulmohar and bamboo, and herb plants. Pride of place, however, was given to the banyan tree which was the only tree present when the couple purchased the land. “It is now the only banyan tree left in the whole village, and for Vat Purnima, the village ladies come to Deogadh bedecked in their finery for the puja,” DeSylva beams. This haven has so far played host to a wedding, large birthday parties, festive celebrations and even a sombre family reunion to seek closure and celebrate the life of a beloved member while enveloped by nature. But even now, it continues to evolve, and the latest development is Camp Deogadh. 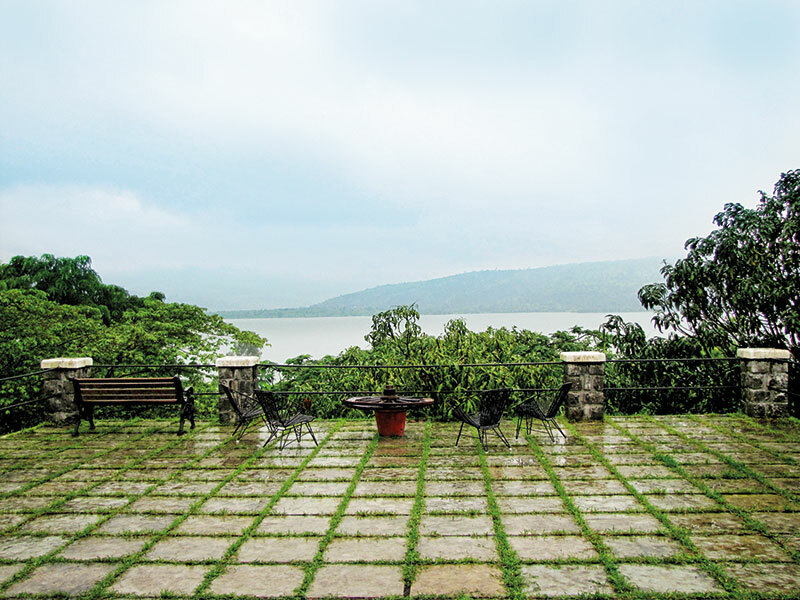 A plot removed from the homestay itself, it is spread over 1.5 acres of pristine terrain, again overlooking the lake. The campsite has also been carefully built with artistic sensibility while being close to nature. An organic farm provides delicious meals, as does a fully functional cookhouse and grill, accompanied by state-of-the-art Coleman tents. They’ve even solved one of the many challenges that explorers face — sanitation — by offering Western-style toilets complete with bidet sprays. And for all the tech-savvy folk, the plinths that house the tents have plug points at their base. “Camp Deogadh is different in its focus as we plan to make it a hub for passion-based activities,” Ferro elaborates. “Whether for photography or studying the stars, the campfire area (which we fondly call Agni) has been thoughtfully built. It has three rows of seating like a mini amphitheatre so that like-minded people can share and discuss ideas and thoughts.” A number of wonderful sessions have already happened there, resulting in so many inspiring stories, but the couple is constantly looking to offer more — from theatre workshops, stand-up comedy and poetry readings to screenings by independent film-makers, reiki and yoga camps, and farm-to-table cooking sessions. It also makes for a great base for trekkers and birdwatchers, since you can spot egrets in flight and discover not only the Tungi hill but also the Tikona and Bedse caves nearby. The home has been handcrafted through years of hard work. Load-bearing walls provide insulation for the six to 45 degree-Celsius range that Pawna experiences, water is harvested from the roof catchment, and a wood-fired oven uses only deadfall from the trees on the property. Even so, a windmill for water pumping is on the cards, as well as solar panels for electricity as soon as the cells are more efficient and cost-effective. The dream, they tell me passionately, is to not only generate enough to stay off the grid, but to one day have surplus so that they can actually give back to the grid. Without a doubt, Deogadh is the epitome of home-grown charm and zeal — right from the logo designed by the couple’s children to the Maharashtrian cuisine served by the locals, who take special care of every guest. Everything I see, feel, taste and experience has a personal touch of some sort…and creates a moment that lingers. “Deogadh needs and thrives on people,” Ferro smiles warmly.